Data Guide Cable is dedicated to creating the highest quality products, individually designed according to customer specifications. The culture of the company is reflected in its commitment to excellence, and long-term relationships with customers and employees. Since 1984 they has established themselves as a quality manufacturer of specialty electronic and electrical cable products. Their exceptional reputation, coupled with manufacturing flexibility and quick turnaround, provide you with the ideal solution for all your cable needs. Rigid and comprehensive inspection programs insure that the highest possible quality standards are achieved. Their modern 125,000 square foot manufacturing facility is located in Gardner, MA with easy access to major highways, rail and airfreight services. Learn more about Data Guide Cable and what they have to offer. 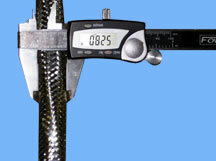 Want to hear more about Data Guide Cable and their products? Let's Chat.